We hope you have found this site useful. We are making every effort to expand this website into a truly great one. Many common questions are already addressed somewhere within this expanding website. You can check the table of contents to see if your query has already been answered. If you are interested in any of the photos on the website, please direct enquiries to the webmaster. All photos were taken by the webmaster, unless otherwise noted by each photo. NB. 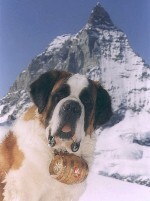 This ski-zermatt web site is maintained independently of the Tourist Office. If you email the Tourist Office, do not expect them to necessarily understand any comments related to this web site. Regarding ski-zermatt.com: personal words of encouragement, copyright and commercial enquiries can be made to the webmaster. For the moment I cannot guarantee a personal reply to general questions about Zermatt. Thanks for your understanding.